Service codes are used for quick access to various functions of mobile devices, often hidden. There are universal codes, and there are those that are available only for the iPhone. Modern smartphones keep a lot of secrets, and the Apple phone is no exception. On the iPhone available service codes, with which you can get various information about the gadget, mobile operators and mobile network. With the help of the special character combinations can learn IMEI, enable anonymous calls, set up incoming and outgoing calls, get information about call forwarding. To use any of the codes below, open standard application Phone, go to the "Keys" and enter the code. * 3001 # 12345 # * - with a hidden menu SIM-card information, cellular network, signal level, etc. * # 5005 * 7672 # - show the number of the service center for the current mobile operator. * 646 # - the publication of the available minutes. * 225 # - check the current balance. * # 31 # - hide or show number. * 3370 # - enable full-size encoding mode. It improves the quality of communication, but reduces battery life of the smartphone. # 3370 # - Disable full-size encoding mode. * # 21 # - information about the forwarding of calls, messages, and other data. 002 # ## - turn off call forwarding. * 777 # - check account. * # 67 # - check number for forwarding. * # 33 # - show the outgoing status locking services, such as calls, SMS, and other data. * 33 * # - enable blocking for calls. * # 33 # - disable blocking for calls. # 31 # phone number - to block caller ID for this call. * # 61 # - show the number of missed calls. * # 06 # - show the iPhone IMEI-number. * # 43 # - the status of call waiting services. * 43 # - activate call waiting. # 43 # - turn off call waiting. Code * # 06 #. With the help of the owner of any smartphone can view the IMEI number. This command works on all mobile devices. Code * # 62 #. It allows the phone owner to know the number of the held call forwarding incoming calls when the device iPhone or stay out of coverage. Code ## 002 #. The command allows you to disable any call forwarding. As a result, receive calls will only owner of the phone. Code * # 30 #. Displays information about the number of the incoming caller. Code * # 43 #. Displays call waiting on data. Code * 225 #. It displays the balance in accordance with the tariff plans on a credit basis. Code * 646 #. Displays information about the conversation, according to the tariff plans on a credit basis. Code * 777 #. Displays the current balance, as well as the information the operating menu, depending on the mobile operator that is used. Code * 3001 # 12345 # *. In another way it is called a menu of "James Bond". When he entered, the screen displays information about the SIM-card, the level of mobile network signal. In addition, the owner of the phone can see the figures receive cellular signal. Data quickly updated. 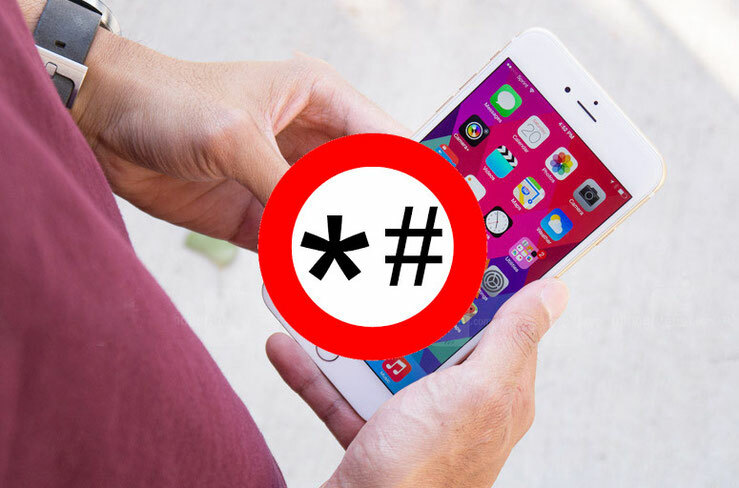 The above secret iPhone codes do not work on all devices of this type, for certain services may not be supported by certain mobile operators. Another point: during the application of these codes need to proceed with caution. Erroneous administration team is able to lead to undesirable consequences, or disrupt the smartphone.